Hi from Kathy and Dan! 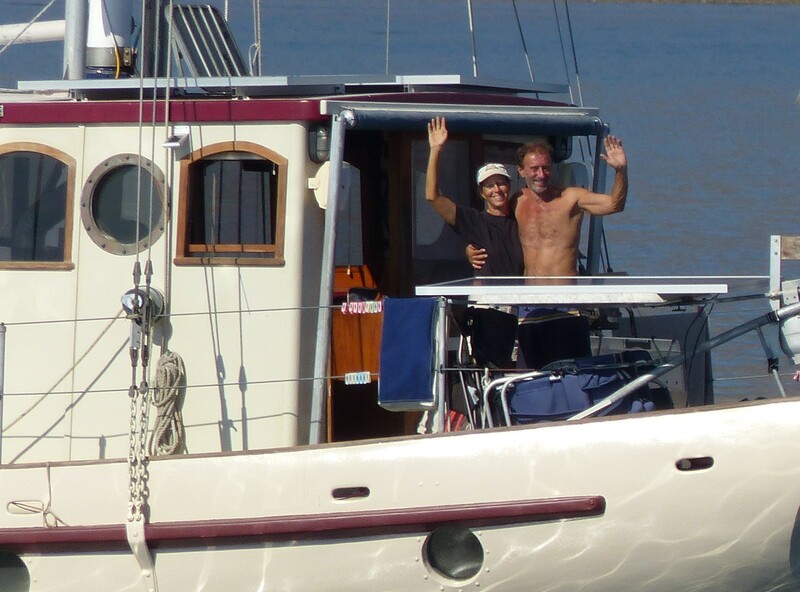 We, Kathy Mitchell and Dan Finkelstein, live on a ferro-cement sailing ketch named Lungta. We left our jobs in Portland, Oregon in March of 2011 and are now sailing the world. During our first year we sailed from Portland to Glacier Bay, Alaska via the Inside Passage, and then down the coast of the U.S. to Mexico. Mexico was a perfect place to learn to cruise, and although we initially only planned to spend one season there, we enjoyed it so much that we stayed almost four years, alternating between summers in the isolated Sea of Cortez near the Baja Peninsula and winters along the southern coast of the Mexican Riviera between Puerto Vallarta and Zihuatanejo. We left in 2015 because the rest of the world was calling, and even now the allure of Mexico is still strong! We sailed south another 800 miles and came to rest again in El Salvador, where we had a mooring ball made just for Lungta, bought a car, and settled in for almost two years, during which we visited Guatemala and other parts of Central America. We even took a 10 week trip to South America. We expect to head west across the Pacific in the spring of 2017. If you'd like to follow our adventures take a look at our blog. If you are curious about this life or have any questions about cruising on the west coast of North/Central America you are welcome to email us at the email address above. We check our email way too often and will be happy to share our vast and painfully acquired expertise. Lungta is large and seaworthy with room to comfortably house at least six people. If you would like to join in our adventures let us know. (Loving and truly adventurous souls looking for a life worth living please inquire within).